Lanny Cohen recently became the CEO for Capgemini's North America Project and Consulting SBU after having served as the managing director of the company's North American Technology Services and East Area. Specializing in consulting, technology, outsourcing, and local professional services, Capgemini's headquarters are located in Paris, France, with operations in more than 30 countries. After earning an undergraduate degree from Georgetown University, Cohen was hired by the St. Louis office of what was one day to become Capgemini. He was urged to earn an advanced degree, and Cohen decided to enroll in the SIUE MBA program because of its proximity to St. Louis. As a 20-something MBA student, Cohen was impressed with the other students enrolled in the program. He was able to learn not only from the "amazing instruction" he received, but also from the work experiences from the other students participating from major corporations. The program integrated academic lessons with real life situations that made it much more useful for Cohen. He credits SIUE with outstanding instruction. "Some of the best classes I have taken were in the MBA program. The instructors were so passionate about what they were teaching," said Cohen. 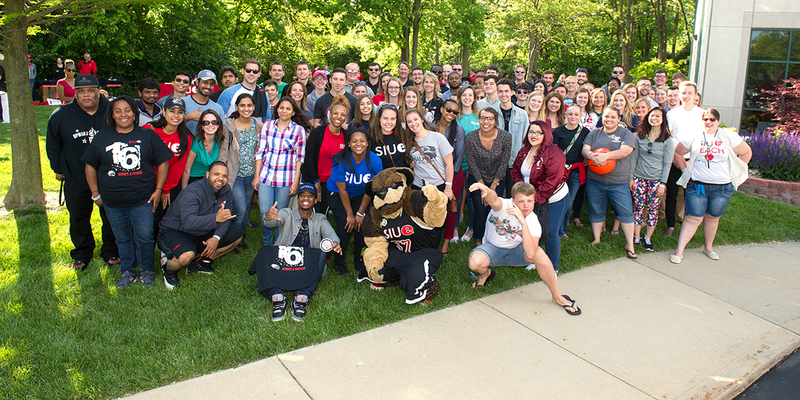 "SIUE instilled a passion and excitement for higher education in me that has stayed with me throughout the years," he stated. This is evident in that Cohen is a Certified Systems Professional, and also graduated from the executive leadership programs at the Kellogg School at Northwestern University and at Harvard University. Cohen notes that the hardest part of transition to CEO is that he will not be involved with every part of the business. "As CEO, you have to step back from what you were doing and redirect yourself to address a greater balance, in a broader and more strategic focus, of a much larger business," says Cohen. Cohen held a variety of national, industry, and service-line leadership roles throughout his 26-year Capgemini career. He was the 2003/2004 chairman of the Association of Management Consulting Firms (AMCF), and named one of Consulting Magazine's Top 25 Most Influential Consultants for 2004. He currently serves as vice chair of the Board of Trustees at St. Thomas Aquinas College in New York. Article originally appeared in the 2007 edition of bWorld.